Haney Hong of the San Diego County Taxpayers Association. 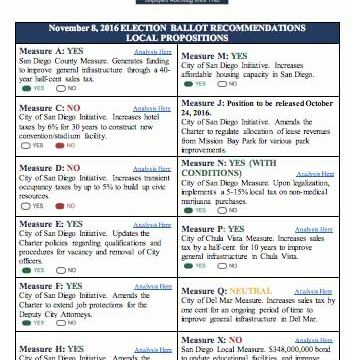 Besides advising voters to oppose a hotel tax for a downtown stadium, the San Diego County Taxpayers Association has taken a stand on about 20 other other local and state ballot measures. On Monday, the group released a voter guide that urged support for school bonds in the Grossmont Union High School District and Fallbrook, Bonsall, Cajon Valley and Cardiff districts as well as in the MiraCosta college district of North County. But the taxpayers association opposed a $348 million bond in the Grossmont-Cuyamaca Community College District and a $400 million bond in the Southwestern Community College District. pay for prescriptions at prices on par or below those paid by the Department of Veterans Affairs. “With so many local measures on the ballot this fall ranging from school bonds to a stadium, it’s easy for voters to feel overwhelmed and confused,” said Haney Hong, president and CEO of the association. 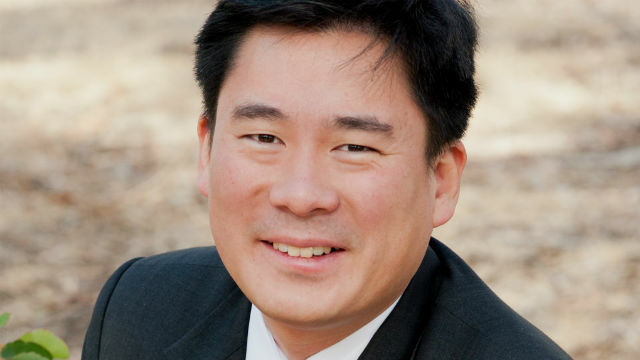 Hong said the group conducted “independent, nonpartisan analyses” of these ballot measures. “We understand that no matter how engaged citizens are, very few people can find the time in their busy schedule to fully understanding the implications of each measure,” he said.